It’s probably the biggest understatement of the night. 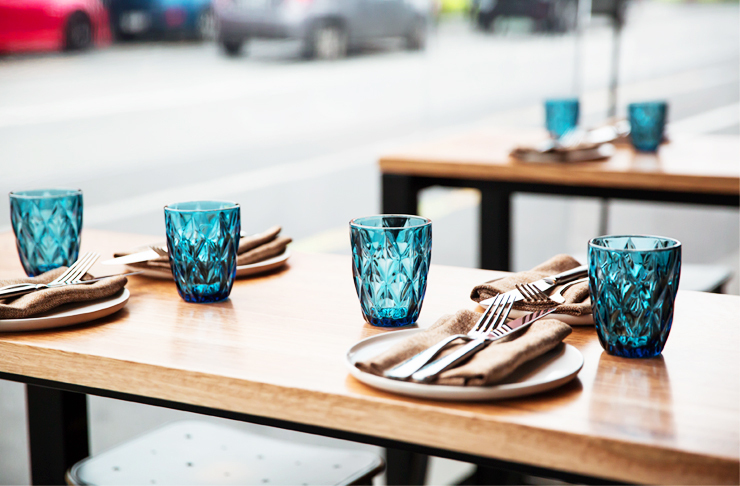 Executive chef and owner Garen Maskal has expanded his Armenian empire with his latest casual diner, Shukah. The little brother of the CBD’s Sezar and a distant cousin to Glen Waverley’s Black Toro, Shukah has no trouble standing in it’s own right. Like its siblings, Shukah has inherited plenty of good looks. The split-level space features light olive couches and polished concrete floors. Sleek black timber chairs and an open kitchen creates a bustling, pulsing atmosphere (which you’ll be grateful for when you’ve hit deafening silence during your second tinder date). Wander in to find articulate, smart modern cooking. Dishes are deceptively modest—for example, the roasted barramundi is served with a refreshing green pea tabouleh and fruity sweet persimmon amba. It toes the lines between savoury and sweet, and it something you’re definitely never (ever) going to attempt at home. 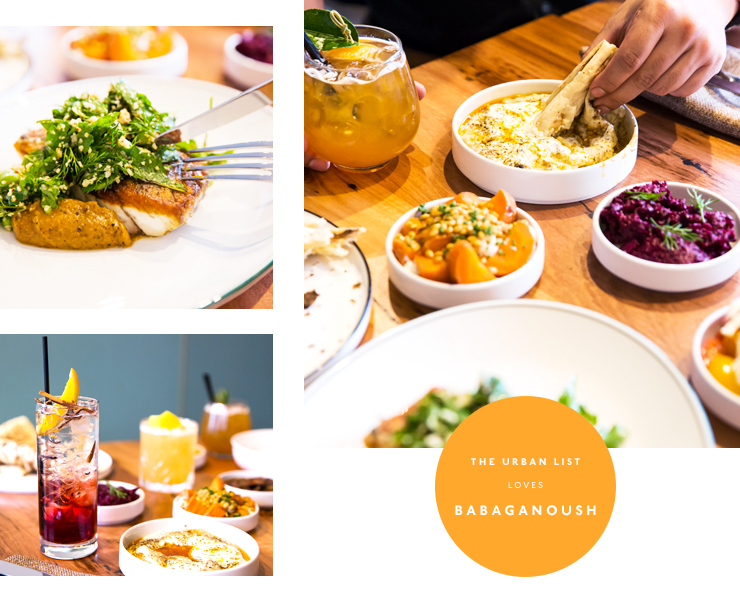 To start, don’t miss Shukah’s daily selection of mezze (four fresh as anything veggie dishes) and babaganoush with smoked yoghurt and flat bread you’d happily eat for the rest of your carby life. Kingfish sashimi served with a creamy avocado puree, cucumber and black lime is hard to fault, while toasted manti (little pasta dumplings from heaven) are filled with spiced lamb and served with garlic yoghurt and sumac. For dessert, there’s a childhood baklava sundae complete with cherries, ice-cream and cream. Poached quinces with brown butter labne and dill is perhaps a touch more refined, and just as enjoyable. “Shukah is more like home,” he says, and the restaurant fully embodies this philosophy.